April fifteenth and it is snowing so hard I cant see from my front window across the pond. Weather like this is frustrating, but it is weather like this that usually makes me wait to order queens. I have gone through hives in late March in the past, with temps already in the upper 60's. 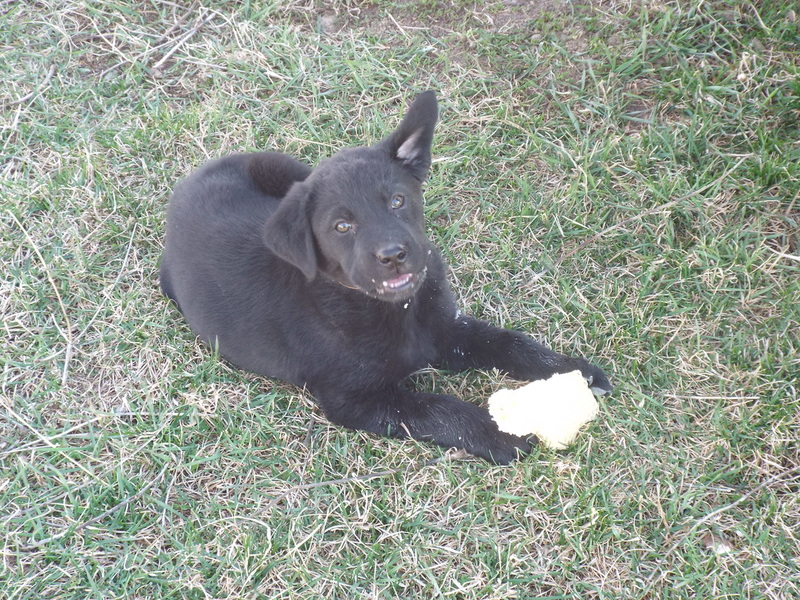 This year has not been cooperative at all. The trees, specifically the maples all bloomed in March, then it froze, and the buds fell from the trees... Two days ago it was 70 degrees, and there were new blooms... today we are in the grip of an April snowstorm. It sometimes makes me wonder how trees OR bees survive such crazy weather. As beekeepers, all we can really do is wait. make sure the hives you have that are out of resources have sugar cakes, winter patties etc on them, and keep our fingers crossed! Have patience, spring will arrive eventually! I am back in Iowa, and at the current time waiting for the weather to cooperate so I can go through hives and see what I have got, after spending 7 months in Maine. My hives didn't get treated or winterized last fall, so I have a bad feeling. But at the same time, I see bees swarming the maple blossoms. 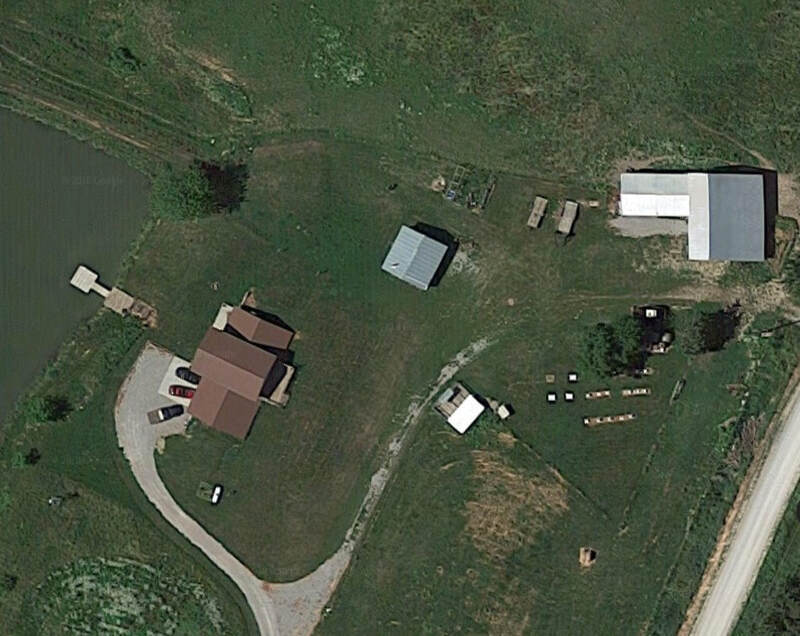 Time to get this mess cleaned up and the Apiary into shape, and I will take pics and be adding to the website as the spring and summer progress! It has been a very busy summer. My wife is working in Maine, so I am attempting to do everything, from mowing the yard, cutting fields and making hay to increasing my hive numbers. Time has been hard to come by. I have increased to over 80 hives, I expected to do better, but the TIME factor has hurt me. More pallets are built and ready to move the nucs into. The rains this year have come almost perfectly in this area. At times, they were a little too intense, but the timing has been good. 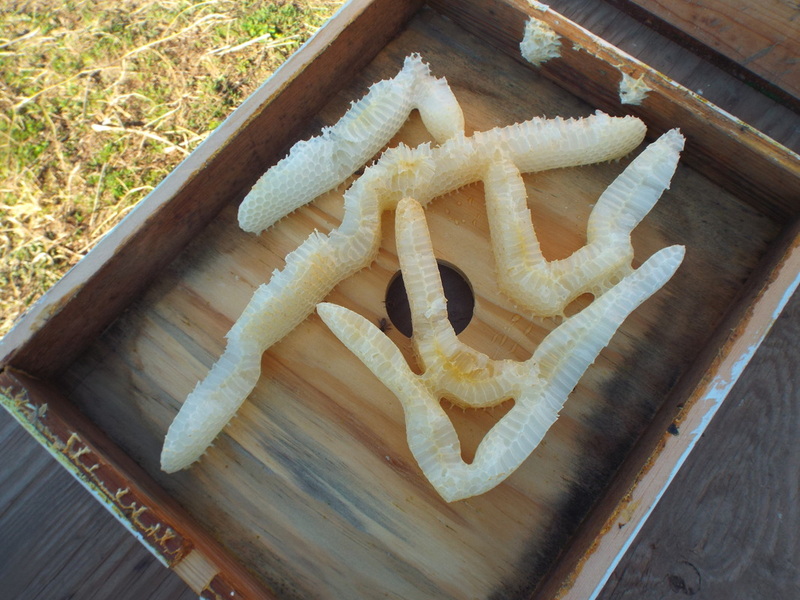 The bees built up exceptionally well, despite being split so many times. Now that August is here, i noticed a lack of incoming nectar, and that the hives were getting lighter, so I have started feeding, and the bees are taking the syrup readily. This will allow them to continue building up and storing feed for winter, as well as making comb. Almost time to get the vaporizors out and treat for mites. I will try to get a picture of the operation in progress. With a little luck, the Goldenrod will bloom, and the natural nectar they produce will help the hives prepare for winter. 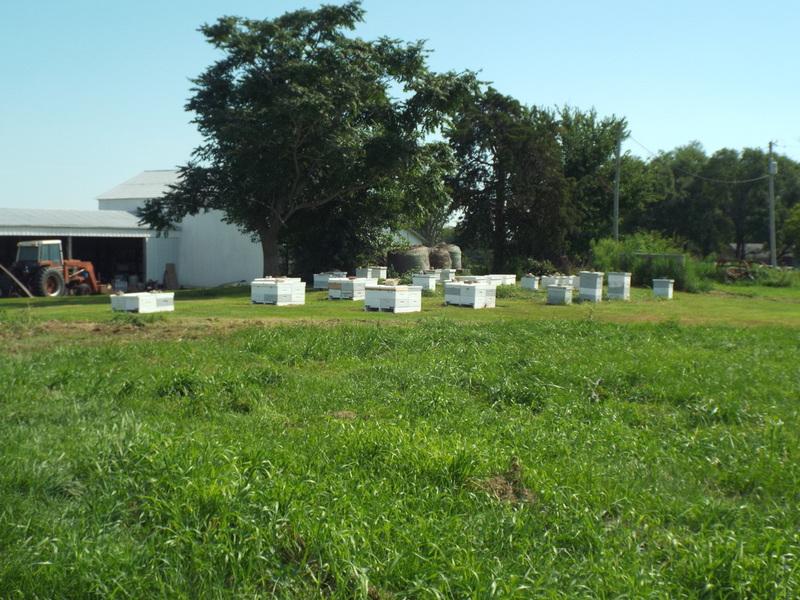 Now is the time to start looking at the hives to assess their condition. 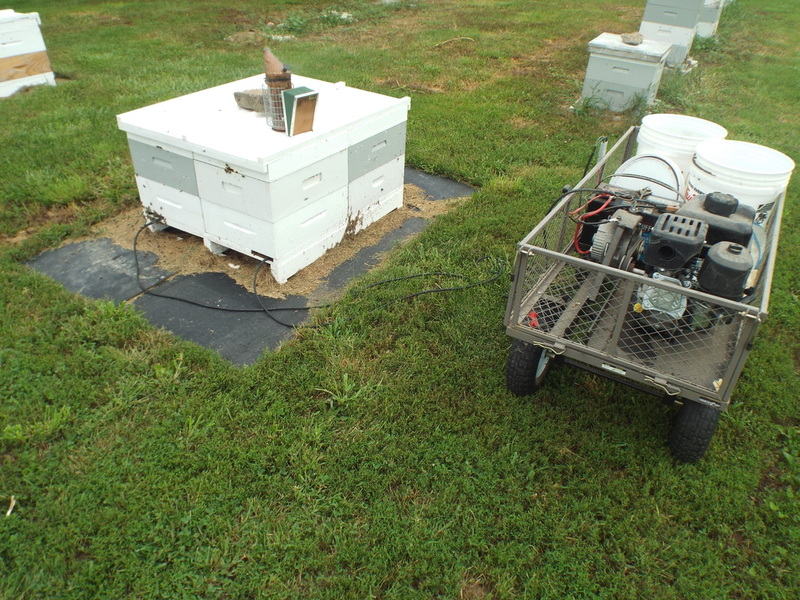 As September arrives, it will be time to start combining weak hives to make strong hives and finish feeding and preparing for winter. Don't forget to treat for mites! It is important to insure your hives are as strong as possible. 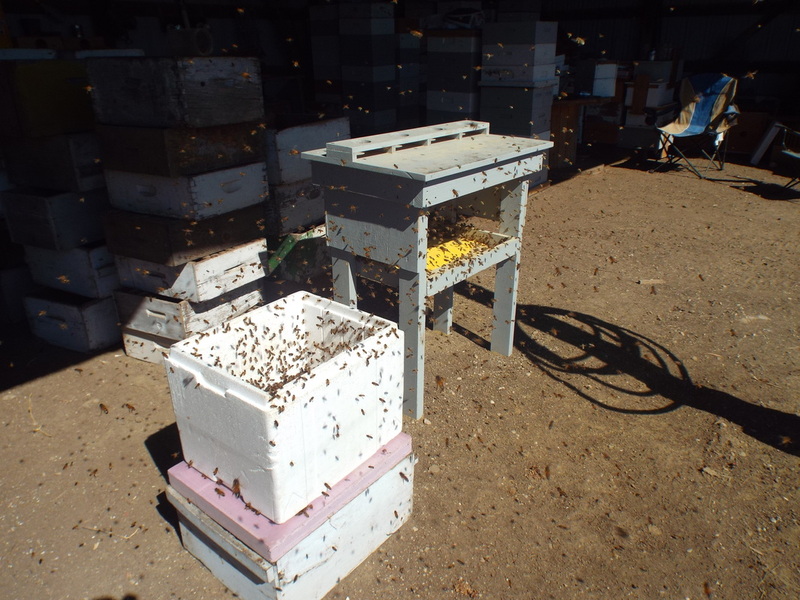 Treating NOW will insure that the emerging bees will be healthy and strong, so that the generation they raise will go into winter well prepared. Start making your candy boards, or sugar cakes. Don't get caught if winter decides to arrive in October rather than November! Keep your bees happy and healthy! February turned out to be COLD, snowy and windy.. an Iowa winter at its finest. Not much to report about February, I made the trek to the outyards and checked sugar reserves. Found half a dozen hives that were finished, so I stole their sugar for other hives..
March came in with a roar, stormy and cold.. but then rapidly turned around on itself and it has been in the 60's.. Tomorrow, the 13th of March, which also happens to be Friday the 13th is supposed to be 70 degrees.. 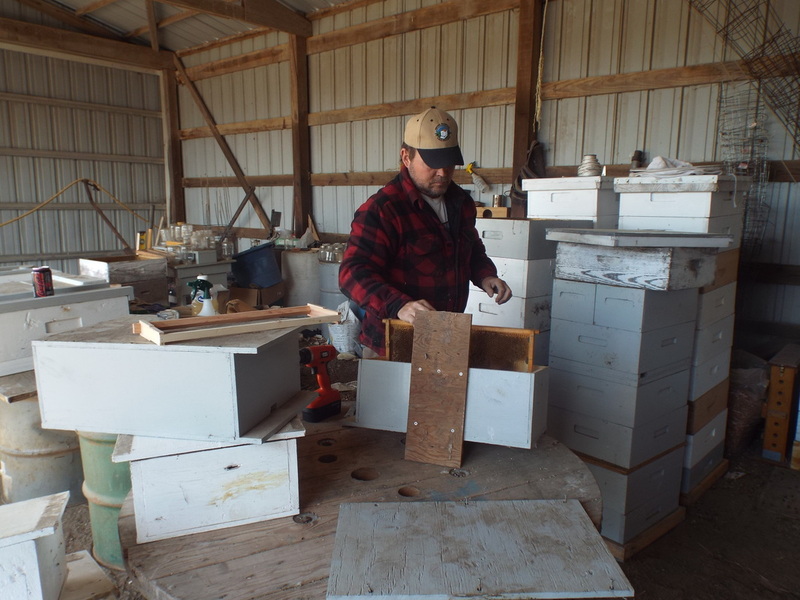 The bees are flying, the snow has melted, and I have been in the hives to check on them.. At this time, it looks like I have lost 12 of 41 hives. When I got home and checked the hive number/ID, I was not so surprised to learn that 8 of the 12 hives lost were packages. Two were hives I attempted to winter with NO upper ventilation, and two were Nucs I had purchased last spring.. That leads me to the next revelation.. ALL of my local hives/queens/colonies are alive and thriving at this point... 4 of them overwintered nucs with queens I raised last year. To me, this answers the question about genetics and overwintering with no room for error. This is the third time I have attempted to winter bees from packages.. With the same results. 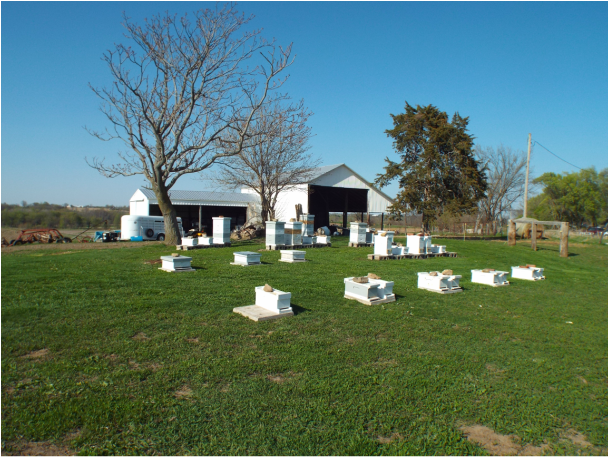 I might try to change my methods, but 90% of the nucs I bought last spring survived, and 100% of my own colonies survived, barring of course the two I personally killed in attempting a different method of wintering.. The center of both clusters was a ball of ice... Which leads me to the conclusion that there is a difference between MY bees and the bees that have come in the packages. As always, I STILL advocate buying packages very strongly, then putting a locally proven and adapted queen in to replace the package queen once that hive is getting well established. Syrup and Pollen sub are out, so these hives can begin building up.. The danger is that we may still get a prolonged cold snap, in which case my chances of losing more hives goes way up.. the bees will not leave the brood to cluster, and will freeze right where they are, so this is a risk. If it works, I have super strong colonies to split. If it fails, I will lose more production hives to replace the losses. Keep your fingers crossed! Hang in there, Spring is rolling up on us fast! I hope all of your losses combined were less than mine!